"Working with you for the past 12 years has been one of our better professional experiences of that time period. At the time we engaged The Equity Group, Mobile Mini had a market cap of $20 million; today it is nearly $800 million. From no meaningful sell-side research or institutional holders, Mobile Mini now has a number of prominent investment firms writing on it and a large and loyal cadre of institutional holders. Furthermore, thanks to your relentless follow-up, our local papers are now regularly reporting our news and we have had favorable press in major national media including Investor's Business Daily, The Wall Street Journal and Forbes. We have been impressed by The Equity Group's continuing ability to develop and execute investor relations programs and activities that match our needs during the various stages of Mobile Mini's corporate development. That is due in part because you know your business very well, but just as importantly, you've taken the time to understand our business very well. Throughout the years, The Equity Group has been extremely knowledgeable, responsive and helpful. While we did our job of building a successful company, I am firmly convinced that the caliber of the investor relations/corporate communications services provided by The Equity Group has been a critical element in the gains we have achieved in our shareholder value." "For small and micro-cap companies like Hill International, it doesn't make any sense to have an in-house investor relations professional when there is a firm like The Equity Group that can provide you access to an entire team of IR professionals on an as-needed basis at a fraction of the cost. Their knowledge of the investment and analyst community has been invaluable as we have transitioned from a private, family-run business to a publicly-traded company listed on the New York Stock Exchange. I wouldn't recommend that the management of any company go through that process without the outstanding professionals at The Equity Group by your side." "Very pleased to hear from my team that they are happy to work with you. In addition, they feel that you work very hard to understand our business and to meet our requests. They are amazed the knowledge you obtained in the past 30 days. This is absolutely a great start." "If you want to rev up your investor relations program, The Equity Group is definitely the way to go. 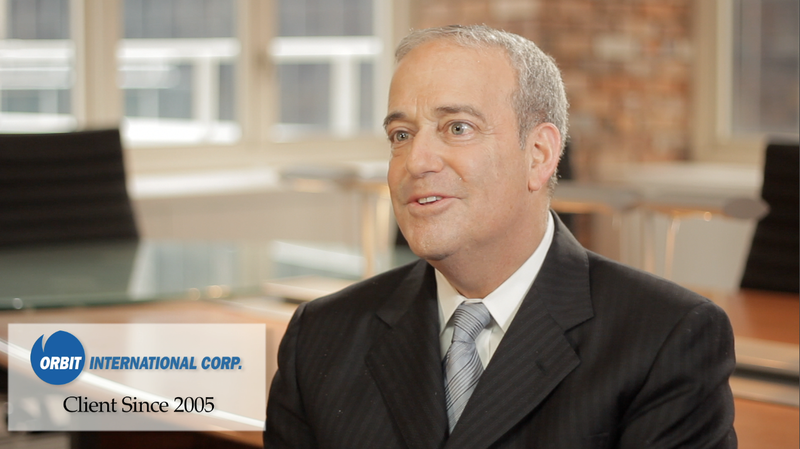 At LSB we traditionally had a very passive approach to the investment community. We hired The Equity Group, and almost immediately we were in the midst of a proactive and highly professional IR effort. The Equity Group led us step-by-step through a disciplined approach to develop a full blown program. In the process, The Equity Group management quickly became integral to the program, and an important part of the LSB team. Everyone we have worked with at Equity Group are real 'pros' and I cannot imagine an in-house IR person being any more knowledgeable, involved or proactive than the Equity Group account manager assigned to us. We have come to rely on The Equity Group and are extremely happy with the decision we made." "As we approach the end of the year, I want to be sure to acknowledge the people and the organizations that have truly made a difference. That list must include The Equity Group. When we began working together in the spring of 2000, Inter Parfums had a market cap of about $85 million, and as they say on the Street, our shares traded by appointment averaging 5,000 shares per day. In the ensuing years, Inter Parfums has grown sales and net income substantially and our market cap has risen to nearly $500 million with average trading volume of about 200,000 shares. The caliber of the writing for news releases, presentations, conference call scripts, corporate profiles, and our annual reports has been first rate and importantly, reflecting a keen understanding of our business and our business opportunities. We have had highly productive meetings with portfolio managers and buy-side analysts at institutional investors in many cities. Our Company has been profiled in major business media including Business Week, Investor's Business Daily and CNNfn. When I think about The Equity Group, professional, responsive, initiative, enthusiastic, thorough, and fun to work with, are the words that come to mind. For all the times I should have said it and didn't, 'Thank you and great job!'" "Inter Parfums made the right decision selecting The Equity Group as our IR counsel. Your firm has been integrally involved on so many fronts, including our website, an array of written communications, and media contact work, as well as providing us with insightful advice. Meticulous, competent, responsible and responsive are the words I would use to describe your firm. Perhaps the most valued service has been the meetings you have scheduled with buy and sell-side analysts and money managers. We are impressed with how well you've matched our investment characteristics with their investment criteria. Whether they take immediate action or not, we come away from these meetings knowing that we haven't wasted our time." "We sometimes forget to reflect upon and acknowledge those whom have been so instrumental to our success. 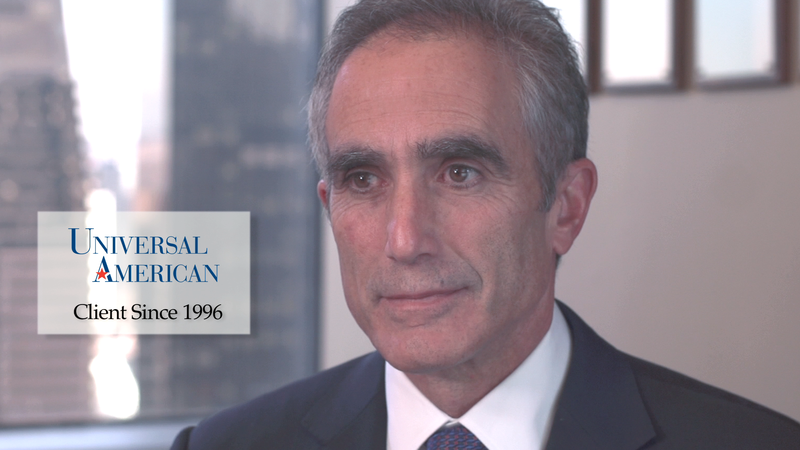 When American Vanguard began its relationship with The Equity Group in 1989 we had little knowledge and no exposure to the investment community and business media. With your communications skills and vast contacts we are now enjoying the fruits of your labor and education. Though investor relations are important to all public corporations, it takes a certain expertise to handle some of the challenges our industry and company have experienced. The Equity Group has guided both American Vanguard and its investors for many years and we look forward to continuing our relationship for years to come." "We started working with The Equity Group in October 2011, and we are very pleased to have them on our team serving as a bridge between the Company and our investors. We are especially impressed with their quick response to the needs of our investors and their accessibility in spite of the time difference between China and the U.S. We believe that The Equity Group is a good fit with small-cap China-based companies like Biostar." "The Equity Group has brought a broad offering of talent and experience to KMG Chemicals' investor relations effort that would be hard to find elsewhere. They have a strong client-service mentality that is best appreciated when things get busy. I never have to worry about a deadline if I know The Equity Group is taking the lead on it for us. They have excellent contacts and a solid reputation in the equity markets, and I am very pleased to have The Equity Group represent KMG." "Having worked with The Equity Group in the past, I had no hesitation in again engaging the firm when Sterling needed to institute an investor relations program. As I had expected, Sterling has been very satisfied with the quality of the work, breadth of contacts, and the responsiveness of the firm. We expect to continue with The Equity Group and to expand its role as Sterling grows." "We have been extraordinarily pleased with the assistance The Equity Group has brought to Trailer Bridge over the years. I have and would highly recommend them to any company that is looking to engage an investor relations firm. From refining our communications and presentations to setting up meetings with potential investors, they have consistently contributed to getting our unique story out to the capital markets. We can point to key investors we have today due to the efforts of The Equity Group. Your continuing outstanding efforts on our behalf reinforce our initial decision to engage The Equity Group. Thank you." "Initially we were drawn to The Equity Group because of the firm's small-cap expertise and the number of their long-term clients, and we are confident that we made the right decision. The Equity Group was a key advisor during our spin-off, helping us navigate the complicated process and the small-cap marketplace, and has continued to provide support on a variety of matters relating to small public company life. Their advice and contacts in the investment community were very valuable to us while we were listed for one year on the Bulletin Board, during which time our stock price increased substantially, and they then helped guide us in our move to the Nasdaq. The Equity Group helped us achieve our goal of increasing our Institutional base by setting up key meetings with many investment professionals. As an integral part of our proactive investor relations efforts, we seek their advice on all IR issues and input on many important decisions the Company makes. The firm is professional and responsive in everything they do, including preparing exceptional written materials. The Equity Group is a key member of the ADA team and we feel that they played a significant role in the success the Company has achieved during the time we have worked together." "I am convinced that we made the right decision when we engaged The Equity Group. I can devote more time to growing our business, having been relieved of many of the time-consuming IR functions that preoccupied too much of my day. You have done an excellent job writing and editing our press releases, Annual Report, and Corporate Profile. With your guidance and supervision, the IR section of our website has been completely overhauled into a useful investor tool. I am also impressed by the quick turnaround time and responsiveness, the caliber of the output, the good advice, and the initiative that we get from our team at The Equity Group. I look forward to a long, mutually productive relationship." "The Equity Group has been an important part of Bluegreen's communication efforts, from our beginnings in the timeshare marketplace - where your introductions resulted in Bluegreen receiving its first research coverage - through our industry expansion as one of the world's leading developers of timeshare resorts, golf communities and residential land. Your knowledge of our business and industry has allowed Bluegreen to effectively communicate its story to the investment community and the media. We certainly appreciate the sound advice, personal attention and professional service that you provide." "After transforming from a conglomerate to a focused operating company, we knew the time was right to commence a proactive investor relations effort. We interviewed several firms, including 'big name' agencies, but were drawn to The Equity Group because of their experience, contacts, the longevity of their client relationships and the recommendations they received from professional investors. It is hard to imagine a company being more responsive than The Equity Group. We have always felt like Jacuzzi Brands is The Equity Group's only client. We are never asked to wait and are always treated as though our needs are the most important. We were thrilled to learn that The Equity Group was recognized by the International Association of Business Communicators with its 2004 'Award of Excellence' for communications excellence on behalf of Jacuzzi Brands." "Since retaining The Equity Group in 2000, MTR Gaming Group has been extremely pleased with the level of service provided and the results achieved. The Equity Group has been integral in broadening MTR's investor base and research coverage. They have also secured MTR's participation in a number of investment conferences. When I joined MTR in 2007, The Equity Group was helpful during my transition, and since that time, I have been very impressed with their written work, investment community contacts, responsiveness and attention to detail. Moreover, The Equity Group poses well thought out financial questions to us before they draft our quarterly earnings releases. After working with other IR firms in the past, I would highly recommend The Equity Group, to companies with or without an in-house IR associate." "Over the past one and a half years, The Equity Group has provided IR support to Hollysys, which we greatly appreciate. Adam and you have formed a solid working relationship with HLS management. You demonstrated professionalism and dedication to HLS IR work all along. We are grateful for what you've done to assist us to reach where we are today." "The Equity Group played an important role in Recoton's investor relations and financial public relations efforts. On a personal note, with your team already on board when I joined Recoton, it was extremely helpful to have your resources, knowledge and counseling as I took on the corporate communications responsibilities here at the company. You and your people have been available, flexible and willing to go the extra mile for us." "We have enjoyed working with The Equity Group over the past few years. In particular, we appreciate your attention to detail, work ethic and real world understanding of investor relations, as well as your understanding of GTSI's business. From arranging meetings with investors to drafting financial news releases, presentations and conference calls scripts, your firm brought a structure and professionalism to GTSI's investor relations program. As our position in the Government IT market grew, your efforts helped us to obtain sell-side research coverage, additional institutional ownership and increased average trading volume. We are grateful for the work that The Equity Group has done on our behalf." "Bob, Devin, we greatly appreciate the excellent PR services you have given us since our relationship began. You and the other Equity team members have provided us real value and supported us through difficult circumstances. We are forever grateful and would be glad to give very positive testimonial to potential Equity clients in the future." "On behalf of Kellstrom Industries, I want to thank you and the Equity Group team for all that was accomplished for our company over the past six plus years. You took the time required to learn about our business, industry, and opportunities and did a fine job communicating with the investment community, the business and financial press and our shareholders. We have had excellent exposure in national and regional business media, most notably: Business Week, The Wall Street Journal, and Bloomberg. With your help, we were able to launch our corporate and investor website. Enthusiastic, professional, and knowledgeable are some of the qualities that I associate with The Equity Group. We value your opinion and rely upon your expertise." "The acquisition of Detection Systems ended a formal business relationship that lasted more than 20 years. A note of thanks is certainly in order. The caliber of service that we received from The Equity Group was exceptional. That was not only my experience, but Betty, Frank and the rest of our team would wholeheartedly concur. When I think of The Equity Group, I recall straight talk, accessibility, value-added recommendations, pristine quality, and a strong measure of friendship and fun along the way." "As you know Microsoft Corporation has agreed to acquire SOFTIMAGE ... The excellent service that you ... have provided is very much appreciated. The timely advice on developing communication issues and the professional approach to assisting us with their resolution were of great help as we moved through the events of the last six months." "The efforts and faith that you have given to us at Vari-Care over the years has been invaluable. Let me simply say that our professional relationship is ending but our personal relationship will never end." "I would like to thank you very much for the help and effort that you have provided on our behalf. I realize that in many cases we were probably a very difficult client, especially in the last year." "I can't tell you how much I've appreciated your help and that of everyone at The Equity Group. You've provided us with invaluable guidance in so many areas. One of [the merger's] major drawbacks will be the loss of working relationships like ours." "During the years that we were associated with The Equity Group, we were extremely pleased with the high level of service, expert advice, and top quality of the work done by The Equity Group. Mr. Devin Sullivan, in particular, was essentially flawless in his services provided to Nymox and I am pleased to recommend The Equity Group, and Devin Sullivan to prospective clients"
Paul Averback, CEO, Nymox Pharmaceutical Corp.
"You and the entire team at The Equity Group have been superb in your work with Transworld, and we will always be grateful for the extra effort to help us... Thank you and your staff for the excellent work and support you have given us throughout our association." "On many occasions over the 12 years in which The Equity Group has provided financial PR services to MOSCOM, I have intended (but regretfully neglected) to express our appreciation... your special efforts on MOSCOM's behalf have not gone unnoticed. We appreciate the objective, dispassionate advice you have given on occasions when it was difficult for us to step back and be objective. We appreciate your "can do" attitude, and willingness to do work late or come in early to turn a press release around quickly. We appreciate the consistently high quality and accuracy of output from the entire Equity Group staff and, last but not least, we enjoy working with the Equity Group staff." Robert L. Boxer, VP & Corp. Counsel, MOSCOM Corp.
"There is no doubt that it was through your efforts that the Company was able to break through into the world of important Wall Street relations, both in terms of raising capital and getting proper financial coverage, which allowed the Company to get to where it is at today." "We had a terrific, productive relationship with The Equity Group, at a pivotal point in Axsys' development. The Equity Group was highly engaged with us, personalizing their efforts to seamlessly match our philosophies and goals. They consistently put us in front of reputable investors and analysts that were relevant to our industry and size, many of which subsequently took action. Our audience in the investment community became quite extensive, which facilitated a successful secondary offering. The Equity Group also provided trusted counsel on a variety of matters, and implemented a clear, well thought-out investor communications program. The firm was ideal for us in terms of capabilities and size, as we received a high level of attention and results. We were very effective together as partners, and we will continue to be friends." 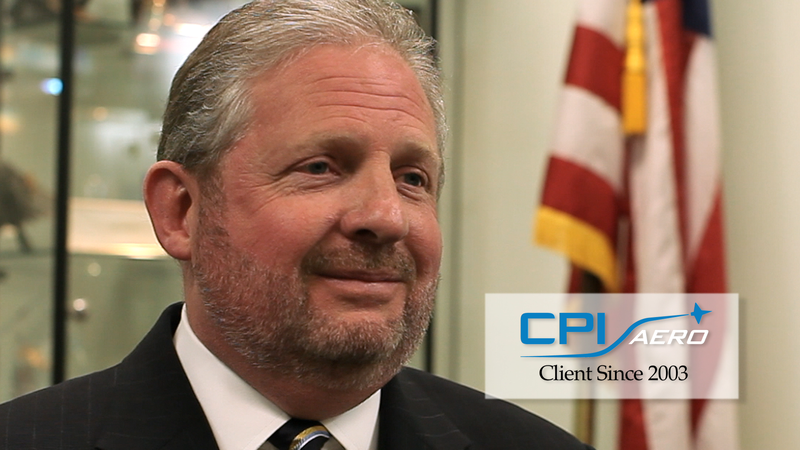 "We at Smith & Wollensky certainly benefitted from your skills and guidance, and I as the main beneficiary am grateful. When we first went public, The Equity Group got us up and running successfully from an IR standpoint. Your expertise in investor communications and relations were certainly of value." The Smith & Wollensky Restaurant Group, Inc.
"To the Enterra Energy Team at The Equity Group... Within days of our selection of The Equity Group, I was confident our decision was the right one. Now I am sure it was. We've been impressed by The Equity Group's professionalism in everything handled on Enterra's behalf. That includes, but is not limited to, a broad array of written communications, the firm's responsiveness and attention to detail, and the accuracy and completeness of our lists. But most of all, we are delighted by the number and quality of new investment professionals we have been able to present our story to because of The Equity Group. We find the background on the individuals and their firms in advance of the meetings especially useful, as is the summary of their feedback. We appreciate the straight talk and wise counsel. It has been a very satisfying and enjoyable relationship thus far, but how can we possibly say otherwise when our market cap has risen by about 40% to date." "The Equity Group has surpassed our expectations on a variety of fronts, namely their high level of engagement and responsiveness, their ability to craft communications that reflect a real understanding of our business and management style, the introductions to high quality investment professionals, and the expert, frank counsel on which we have come to rely. We truly value our partnership with The Equity Group." "In my previous position as CEO of Kellstrom, I worked with The Equity Group from 1995-1999. I attribute much of the public success to the fact that I aligned myself with a group that are both professionals, and as the years went by, became friends. In 2012 I became CEO of Cyalume Technologies and I didn't hesitate, I immediately engaged The Equity Group. They are professional at what they do, but they also work with you on a very personal level. My experience with The Equity Group in all aspects of a public company, from tiny to large has been extremely gratifying." "I was introduced to The Equity Group in late 2009, as part of a reverse merger with a SPAC (Special Purpose Acquisition Company)...Prior to the merger, we were a relatively small company with approximately $75 million in revenue and no experience in the publicly traded arena. Furthermore, we were a Midwest-based company with little to no exposure to Wall Street...During this transition and through this transition, The Equity Group provided the guidance and direction to assist us (a relatively small unknown company) to be very successful in becoming a publicly traded company. Knowing you are working with a firm that is knowledgeable, responsive, and most importantly to me, constantly working through the unknown to generate ideas and suggestions before issues arise, is priceless and allows me to concentrate on more important matters. As such, I would highly recommend The Equity Group to any organization who is or is thinking of becoming publicly traded." "We retained The Equity Group when we thought the Company was in its final stages of an initial public offering. However, we met several challenges along the way. Throughout the process, The Equity Group helped us overcome each one of these obstacles by providing guidance, arranging introductions and played a significant role in the Company going public. Today, we consider them an integral part of our team and we view them as our true partner." "Before working with The Equity Group, I did not expect there would be substantial contribution from an outside party. However, my team and I were impressed by your high level of services, expert guidance and valuable suggestions during past years. You always support us with patience and quick response. In particular, Adam and Carolyne, we enjoy working with you and rely on your experience. We extremely appreciate your excellent service and support." "The Equity Group was a great help in allowing Tecnoglass to become the first Colombia-headquartered company to list on the NASDAQ. They were available 24/7, provided expert guidance, arranged introductions, and helped us present the best possible message to investors. They are also playing a significant role now that Tecnoglass is a public company. We greatly appreciate their support and consider them an important part of our team." Inc. 2 of 2 Hill International, Inc.
University Holdings, Inc. CPI Aerostructures Inc.
Edward J. Fred, Former President & CEO CPI Aerostructures, Inc.